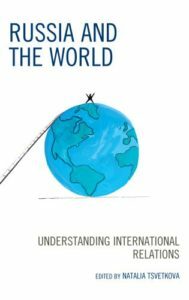 Russia and the World: Understanding International Relations (Rowman & Littlefield: Lanham, MD USA, 2017) edited by Natalia Tsvetkova. 120.00 USD. 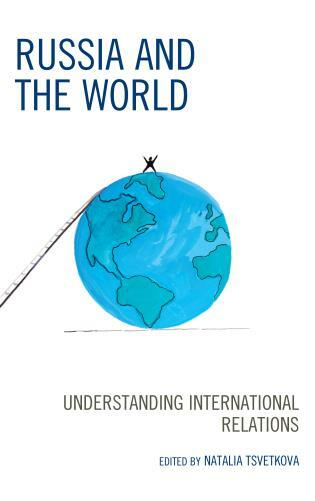 Russia and the World: Understanding International Relations, edited by Natalia Tsvetkova, is an accessible volume of essays by scholars from St. Petersburg State University in Russia. The volume, written for postgraduate students, offers Russian perspectives on a range of theoretical and practical topics in international relations (IR). Given the current controversies surrounding Russia’s role in Ukraine and Syria, and its interference in the 2016 U.S. Presidential election, the book has been published at an opportune time. While the authors offer solid analyses of traditional and contemporary IR theories and methodologies, and Russia’s role with regard to key policy debates in global affairs, at various points throughout the book an inherent bias toward official Russian Federation thinking is revealed. As such, the collection lacks sufficient critical analysis of Russian views as compared with Western ones. The book is organized into three main sections: a) theories, concepts, and methodologies within IR theory to include reviews of major thought traditions, geopolitical and geostrategic approaches, origins of the contemporary international system; b) global issues and challenges related to international political economy (IPE), international conflicts and conflict management, arms control, international organizations (global and regional), rise of non-state actors, environmental issues, soft power and public diplomacy; and c) Russian statecraft and foreign policy including the evolution of the Russian state and economy since the USSR’s collapse, the role of regional economic blocs, Russia’s interests in the Arctic, EU-Russia relations, and U.S.-Russia relations. The authors’ overarching argument is that Western studies of Russia have significantly, and unfortunately, declined since the end of the USSR but that the region is too important to ignore. In their view, Western scholars and theories have traditionally dominated the literature and discourse on Russia and that such discourse has been unfairly “critical” of Russia’s role. 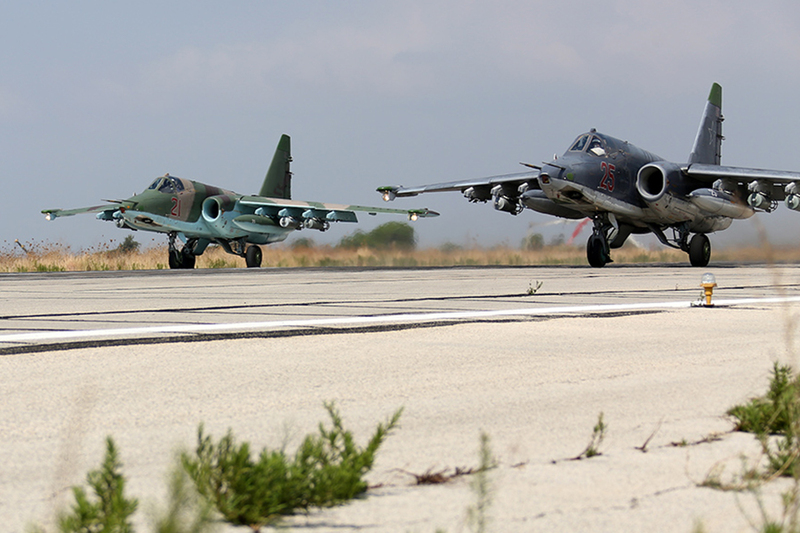 Thus, the authors seek to provide a “balanced” picture of IR and Russia. The authors claim at the outset that Russia is “the” primary actor in global politics and that Russian foreign policy and domestic development is generally misrepresented within Western circles. In order to justify their arguments, the individual chapters offer a broad range of research related to Russia’s role in the world. For example, Irina Zeleneva’s chapter on geopolitics and geostrategy describes how, in her view, Russia is its own “core area” (i.e., the “Heartland” of Eurasia) geographically and it is surrounded by five rival core areas led by Sweden, Poland, Turkey, Iran, and China. Given this, she claims that Russia has sought to establish and maintain a sphere of influence or buffer zone (e.g., Ukraine, Belarus, Lithuania) to protect itself from potential threats. In this vein, she contends that the 21st century is an “era of geostrategy”—a combination of political, cultural, security, economic, technological, and environmental factors governing a particular state’s relations with the outside world. Although she doesn’t say so directly, Zeleneva alludes to Russia having a legitimate justification for its action in Former Soviet Union (FSU) states such as Ukraine and Georgia. Furthermore, in the chapter focused on the origins of the modern international system, Irina Novikova and Andrei Bodrov outline, inter alia, the rise of the post-World War Two (WW2) order and the spheres of influence agreed to at the Yalta and Potsdam conferences in 1945. Is this a hint at the Russian Federation’s potential interest in shaking up the European order to reestablish such spheres? They also discuss the USSR’s collapse and, not surprisingly, attribute it solely to internal Soviet problems—including a dependence on commodity-driven economic growth and the volatility that brings—rather than to any role that the U.S. or others may have played. While Gorbachev’s reforms—perestroika and glasnost—as well as the structure of the Soviet economy certainly played a critical role in fostering the USSR’s demise, what about the impact of the arms race (e.g., U.S.’ Strategic Defense Initiative—SDI) or other Western-driven factors? While the impact of SDI on the Soviet collapse is controversial, some analysis of it’s potential or that of other Western policies would have brought this chapter greater balance. Yury Akimov’s chapter on the origins of modern Russia examines the development of the Russian state and economy since the end of the USSR. He provides a solid review of how far Russia has come since that time. As do many others, he argues that the initial economic and social problems associated with Russia’s transition to capitalism, a free market, and democracy were due to a severe austerity program known as “shock therapy.” This program, as he describes, failed to deliver expected results and instead led to hyper-inflation, declining living standards, and rising poverty. Over time, however, he illustrates how the political and economic situation eventually stabilized under Putin, especially after Putin’s efforts to consolidate power and ride the wave of high commodity prices which spurred significant growth. A chapter on Russia’s national security by Andrey Pavlov reviews the Russian Federation’s 2015 National Security Strategy (NSS), 2014 Military Doctrine, and 2012 Concept on Societal Security. Unfortunately, reference to the country’s 2016 Foreign Policy Concept—a key document that expands upon the NSS and Military Doctrine—is omitted. Pavlov points out, as highlighted in these strategies and doctrine, that Russia perceives its top threats as NATO expansion towards its borders and the alliance’s increased global role, U.S.-backed “color revolutions,” and the U.S.’ Ballistic Missile Defense (BMD) system, among a variety of others. Does Pavlov agree with Russia’s threat assessment? Unfortunately, he doesn’t say so one way or another. Instead, he mostly summarizes the threats identified in the documents. He also makes reference to Russia’s military reform and modernization process underway since the end of the USSR and especially after Russia’s 2008 war with Georgia. Based upon these documents, he describes Russia’s desire to have all states strictly adhere to international law and UN conventions, and to increase its role in regional security organizations such as the Shanghai Cooperation Organization (SCO) and Collective Security Treaty Organization (CSTO). Another key chapter, this one on U.S.-Russia relations by Ivan Tsvetkov, contends that Russia has wrongly been ignored as a key player in global affairs and that it has the capacity to do more, productively, if given the chance. Tsvetkov traces the history of U.S.-Russia relations including their ups and downs over time, shows where cooperation is possible (e.g. Iran nuclear deal, counter-terrorism) and where it hasn’t been (e.g., Russian perception of U.S.-backed color revolutions as a form of regime change). Despite Trump’s overtures to Russia on the campaign trail and since taking office, and although this chapter was written prior to Trump’s election as the U.S. President Tsvetkov believes that bilateral relations between the two countries are regrettably “deadlocked” given continued Russian concerns over NATO and Western support of FSU states (e.g., Georgia, Ukraine). Only time will tell if improved cooperation is possible. The book is available here at Rowman & Littlefield.